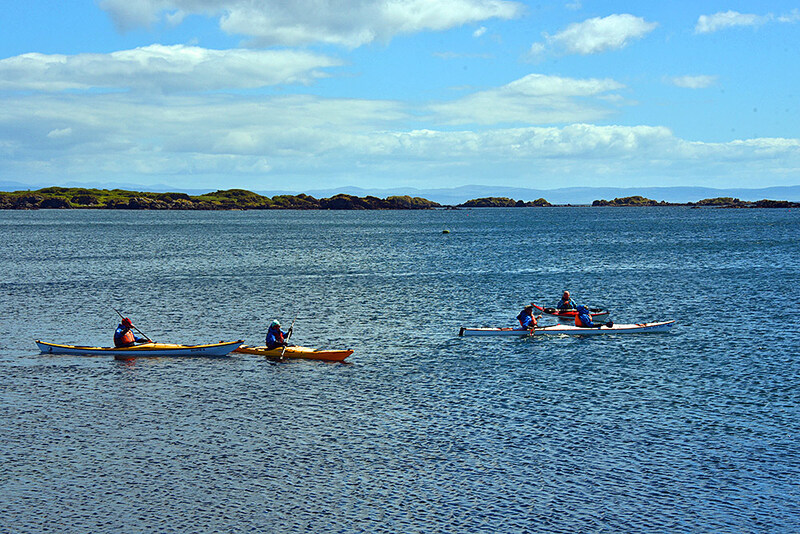 Seen from Ardbeg distillery pier, a group of kayakers with a Kayak Wild Islay tour on a sunny June day. 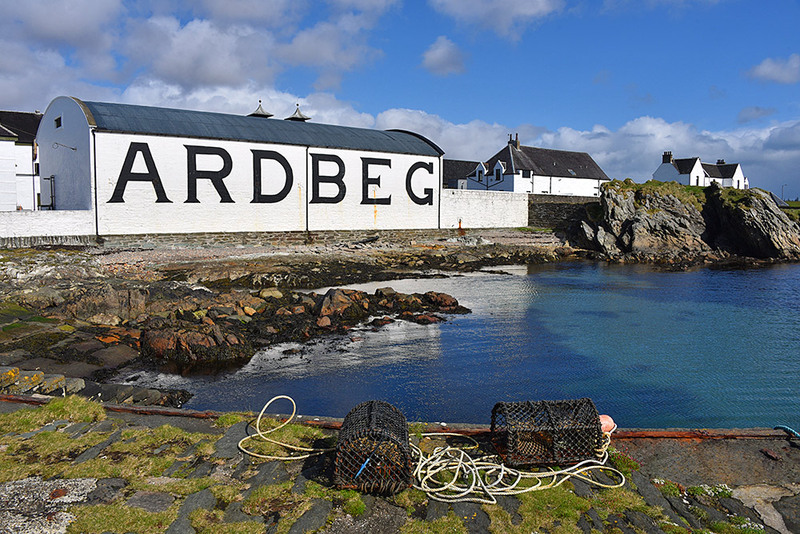 Sometimes I wonder if these creels are placed on the piers (they also often found at the piers at other distilleries) deliberately to make the view of the distilleries even better and provide some detail in the foreground. 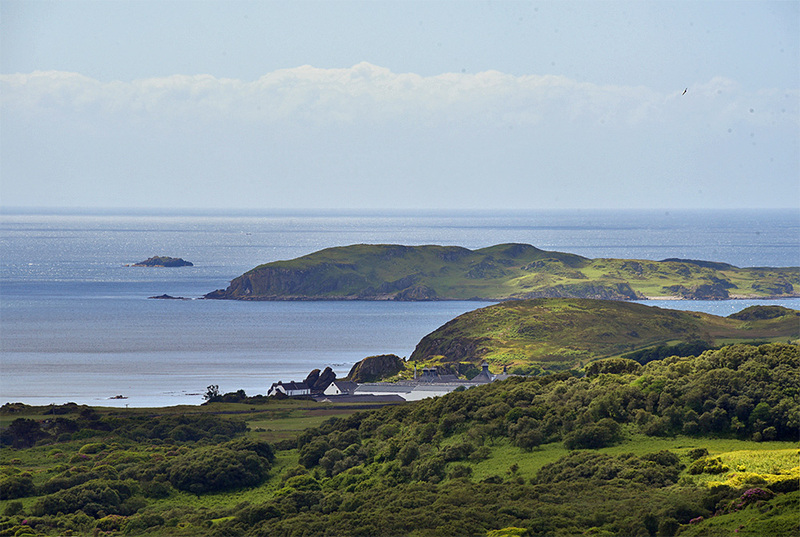 Like here at Ardbeg on the south coast of Islay.